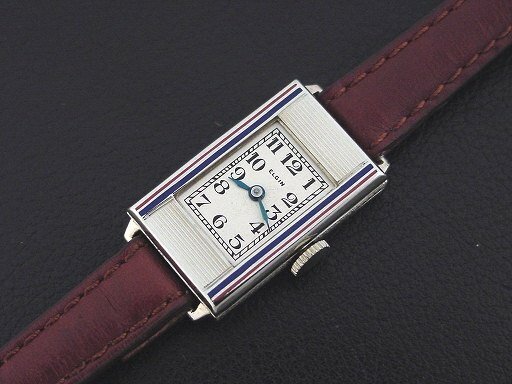 Scarce Elgin “Lucien Lelong 179” ladies’ Art Deco design wristwatch in 14K white gold fill with red and blue enamel, circa 1930. 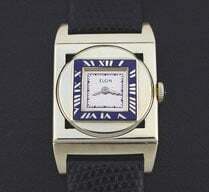 This model was part of the Parisienne series and was designed by Lucien Lelong. 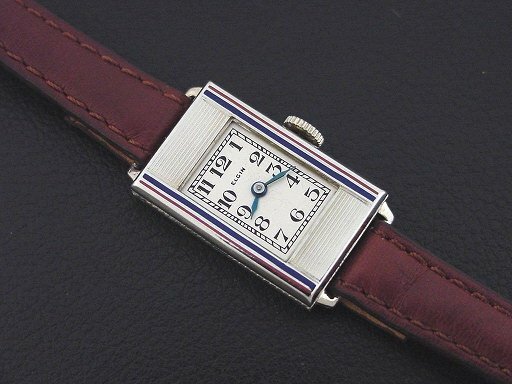 It has a ribbed bezel and red and blue enamel lines. It was priced to consumers at $35.00 in 1930. 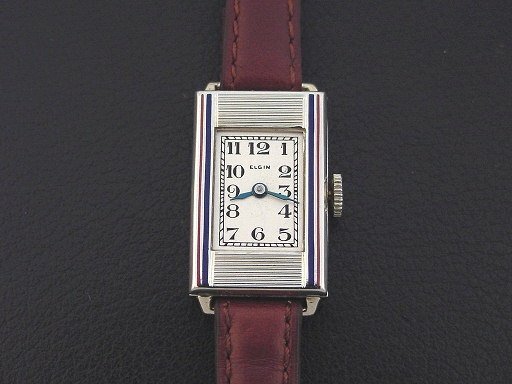 It is in excellent condition with only a few specks of brassing to the bezel corners. Enamel is superb and complete. 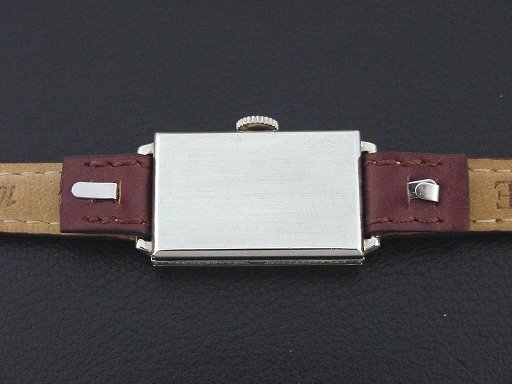 Caseback is excellent, with a couple of tiny dings. The case measures 30mm long and 17mm wide. Original dial is superb. Has new glass crystal. 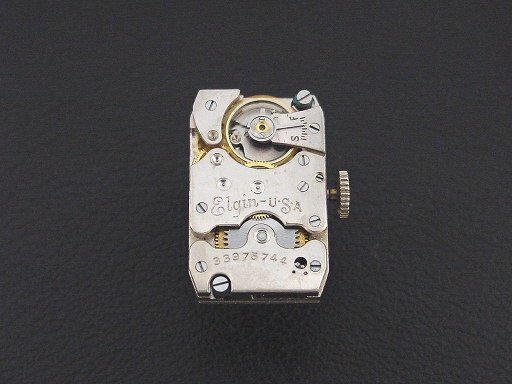 This watch is powered by its correct 7-jewel Elgin grade 488 manual wind movement, just serviced and running strong.